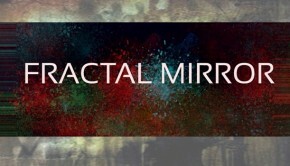 Although Strange Attractors is the band’s first full length album, two members of Fractal Mirror can trace their musical beginnings back to the mid Eighties. In fact Dutchmen Ed van Haagen and Leo Koperdraat have worked together for some considerable time and only recently ‘teamed up’ with drummer & percussionist Frank Urbaniak. I use the term ‘teamed up’ as this project has been put together with the aid of technology as Frank lives in the USA. Listening to Strange Attractors made me think what a odd brew this progressive rock malarkey is – and no better typified by this release. Being of a certain age, my introductions to prog revolved around oddly metered rock extravaganzas, which returned to the original theme or melody infrequently, if at all. Which is not the case here on Strange Attractors as the material is of a song based nature and there is little in the way of solo sections or any time signatures. Does this matter? Not at all really and what the album does have behind these seemingly simple song structures are hidden depths that are slowly revealed to the listener. The album cover also reveals that almost half the album is dedicated to one track. 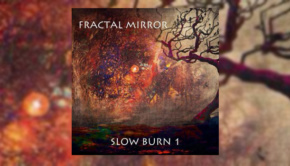 The album opens with distorted ‘Rhodes’ piano followed by the steady rhythm which continues throughout. 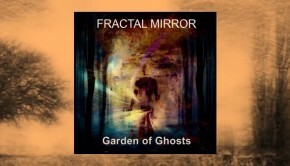 What’s Inside is a prime example how Fractal Mirror combine pop/rock song sensibilities with proggy ingredients. The driving verse and catchy chorus line format is expanded to include rich keyboards, with the song closing to intertwining guitar/synth lines and mellotron-esque choirs. Although a more melancholic piece than the opener, The Fading Ghosts Of Yesterday also incorporates a strong hookline and a fine array of keyboard textures. Don Fast’s unhurried solo sits comfortably here and takes the track out in fine fashion. 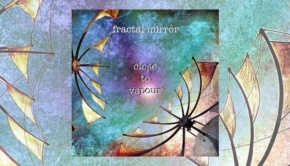 Opening fairly upbeat musically, Brian’s Song catches the essence of Fractal Mirror for me. As the driving rhythm subsides fairly early on in the track, the music gives way to a more stately pace allowing the somewhat darker lyrics to sit more comfortably. I particularly enjoyed the light and shade arrangement which contrasted well against the choral drenched sections. A formula the band use to good effect throughout. So to the band’s epic track. Opening with the delightful, if not oddly misplaced piece, Ending. ‘Mellotron’ lays the foundation for this gentle track, deftly augmented by simple interlocking themes. A delightful instrumental which in turn leads to soothing tones of Insects. Leo Koperdraat’s fragile voice bringing warmth and depth to the lyrics. Raising The Stakes probably does exactly that, opening with crunching guitar and a driving rhythm, which gives way to an ebb and flow format with the ‘mellotron’, in particular, working really well. In fact the following instrumental Various Methods Of Hunting also utilises said instrument and the ‘mellotron’ plays a key part throughout. I noted that the album was mixed by Rhys Marsh and being familiar with his music I pondered what influence he might have brought during the mixing stages. A Life In Darkness concludes with two more upbeat tracks, Leave Me and The Chair, the former having an almost Ray Davies feel to it whilst the later has an infectious chorus line nicely complemented by Charlotte Koperdraat’s backing vocals. 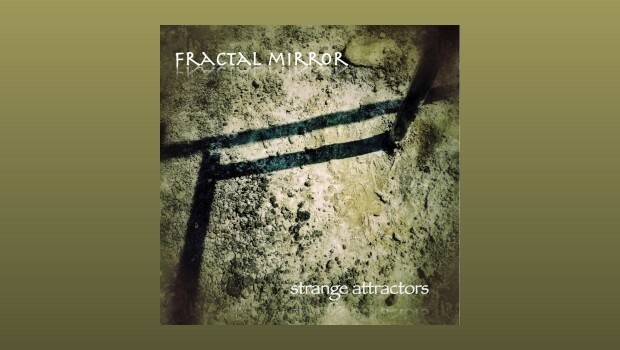 As indicated in the opening paragraph Strange Attractors should perhaps be viewed as a project album or better, a team effort, noted by the inclusion of graphic artist Brian Watson, (recently having contributed work to The Tangent’s Le Sacre Du Travail album), offering not just the fine artwork for the album, but also the lyrics to one of the tracks here. Last but certainly not least is André de Boer who is responsible bringing the band’s music, Brian’s artwork, studio footage, external film and visual effects together in a video format.